This video was filmed in 2012, the year our academy celebrated our 25th year. It documents our academy’s founding and history. Enjoy! 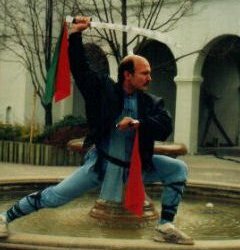 Sigung Bob Schneider founded Waterloo Kung-Fu Academy in 1987 and operated it successfully until 2006. An active martial artist for over 25 years, Sigung Schneider held a second level black sash in Kung-fu and continued to study and upgrade his skills throughout his life as a disciple of one of the top Kung-fu teachers in the world, Grand Master Pan Qing Fu. Throughout his training he was exposed to Karate, Tae Kwon Do, Kick Boxing and different styles of Kung-fu. With over 25,000 hours of study, practice and teaching, Sigung Schneider helped thousands of students achieve their martial arts goals. To the profound sorrow of his students, he died tragically in June of 2006. Grand Master Pan Qing Fu. The martial arts seem to be a paradox. Although a student trains in the warring arts, the ultimate goal is peace. For many centuries, one of the vehicles for that inner peace and tranquility is the art of Kung-fu. Many people, both men and women, take up Kung-fu, not all of them for the same reasons. Some see it as the perfect exercise for keeping fit; others train for purely self-defense purposes. But whatever it is that they seek, this Chinese martial art will, somewhere along the road of disciplined training, provide it. Because it places less emphasis on sheer physical strength and more on technique, Kung-fu is a discipline open to young and old alike. Beginning a martial art such as Kung-fu has many pitfalls. Each individual experiences his own problems. For one person it may be the hard training regimens involved in the exercises. For another it may be the frustration at the discovery that her body lacks the co-ordination needed to perform a precise movement correctly. The key to enjoying the martial arts is perseverance. The practitioner has to get beyond his/her accustomed, Western modes of thinking even to glimpse beneath the surface and understand what Kung-fu is all about. The most important thing to remember when learning the art of Kung-fu is to take your time. Take each lesson step by step. Accumulate movements slowly and assimilate them thoroughly. Do not cast aside a movement that one feels is perhaps a little silly or archaic. The arts of war have been nurtured over thousands of years. They have stood the test of time. So, when a movement is taught to you and you cannot understand the meaning behind it, do it as directed, practicing it a thousand times if necessary. With repetition comes understanding. Kung-fu must be thought of, in it’s final form and spirit, as an expression of humanity’s indomitable will to survive adversity in the most direct, self-reliant manner possible. This requires only that which nature gave him, a mind and body, rigorously disciplined as an inseparable entity. Within this framework Kung-fu will be presented as an experience which begins on the physical level and gradually deepens to a pervasive philosophy influencing the totality of one’s behaviour. March 1984: Sifu Bob Schneider earns his black sash from Sigung Ron Day. 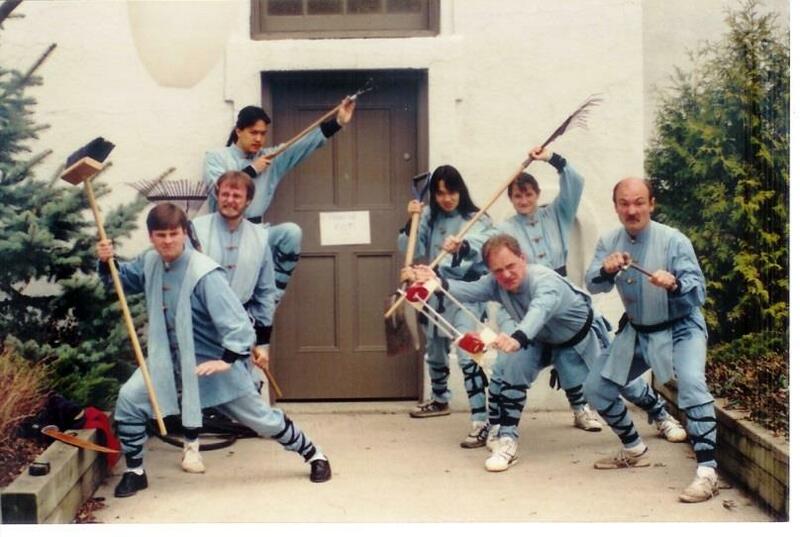 November 1987: Waterloo Kung-Fu Academy (WKFA) is founded by Sifu Bob Schneider. 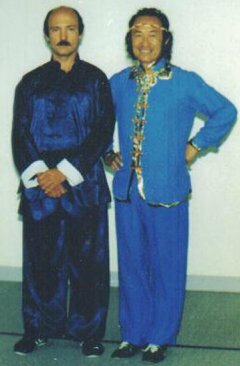 September 1990: Sifu Bob becomes a disciple of Grandmaster Pan Qing Fu. June 1992: WKFA promotes its first black sash instructor. November 1992: The school moves to its current location. February 1995: The first in-school tournament (Shiai) is held. October 1999: The Academy holds its largest black sash grading to date; David Moylan becomes a Sifu. June 2006: Sigung Bob Schneider tragically passes away. 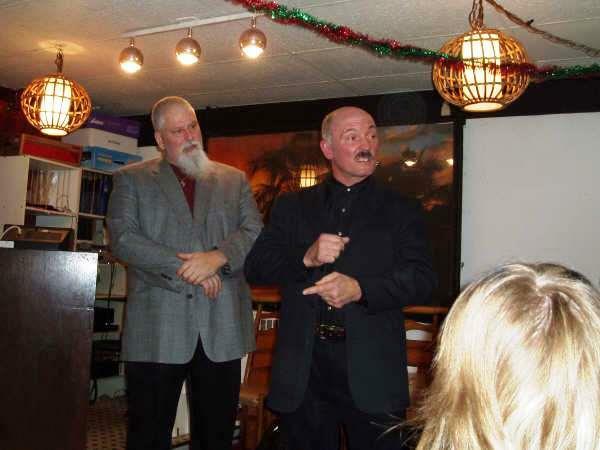 September 2006: Sifu David Moylan takes on the role of Head Instructor/Owner. September 2008: Master Ron Day, founder of Kitchener Kicks, passes away. March 2012: Kitchener Kicks and WKFA together host the 6th Annual Canadian Karate Kung-Fu Association Convention honouring Grandmaster David Chong. View a commemorative slideshow of our academy, presented at our 25th anniversary celebration. Throughout their long history, the Chinese have sought to develop a healthy body, mind and spirit. From this quest, and the need for an efficient method of self-defense, the martial art of Kung-fu emerged. Over its 4,000 year history, Kung-fu has evolved into a holistic martial arts system, encompassing physical methods of self-defense, methods of meditation, health practices and a vehicle for the training and liberation of the human spirit. Kung-fu’s fascinating history dates back to the famous Shao Lin Temple in the Henan Province of China. Over time, crude methods of self defense developed into highly refined methods of combat. Combat moves became stylized and the art of kung-fu broadened to embrace spiritual elements. In the last thousand years, many styles evolved. Today, many styles of kung-fu exist but all embrace the philosophy of mind-body-spirit connection. More and more people in the West are looking for something more than the body-image emphasis found in gym-based regimes and are recognizing the wisdom of these ancient martial arts practices.